One of the most undervalued Disney movies is Wreck-It Ralph, and although it automatically sounds whiny to label something that way, it can also be perfectly true. We can't call it underrated, because it's extremely well-rated, well-respected, and was even nominated for an Oscar. But when discussing the best of Disney, we tend to either lean toward the standard princess musicals or the great Pixar classics, while Wreck-It Ralph gets lost somewhere in the middle. It's simply too original, with the only real comparison being Toy Story; games coming to life when humans close the doors. But then along comes Ralph Breaks the Internet to remind us of this spectacular and exciting world, to show us that it can hold its own when compared to the animated universes that come more easily to mind, and to prove its quality even under the most powerful of microscopes. Ralph and Vanellope have been having the best time together in the years since last we saw them. They travel between games, hang out over root beers, watch the sun rise over Litwak's arcade; things are pretty great. 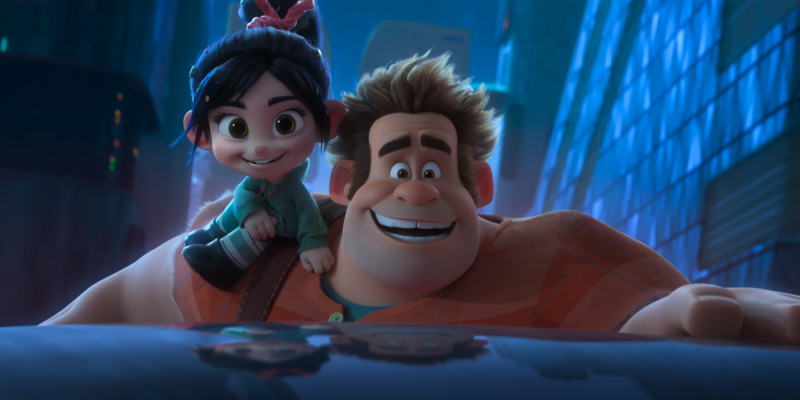 Ralph loves the routine and never wants to leave Vanellope's side, but she's feeling a bit stuck in the same old scene, and might want to experience the exciting new, as much as she loves the comfortable old. Ralph tries to help, but ends up wrecking, go figure, and Vanellope's game is turned off when a part is broken. The duo enter the newly acquired Internet to get the part themselves, but soon find themselves in over their heads in a place of endless possibilities. A series of unfortunate events will cause trouble for the whole world wide web, and might spell the end of an amazing friendship if Ralph can't learn to fix what he's unintentionally broken. 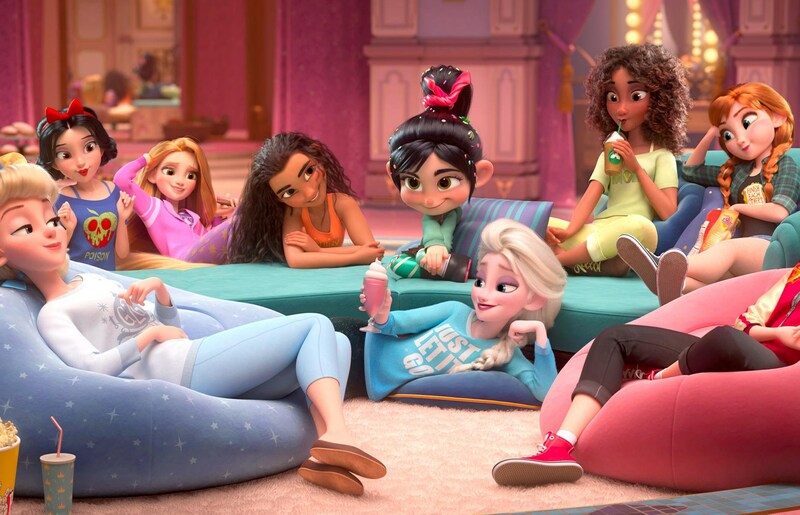 I think this is where we all collectively remember how good Wreck-It Ralph was and its status becomes fixed, because Ralph Breaks the Internet is magic. It's even better than the original, a rare step forward instead of back, and a film that's created with so much love its palpable from beginning to end. It has the heart of Inside Out and the references of Ready Player One, a movie that can move you in any way it chooses, be it because you're along for the ride emotionally or because you feel like you're sitting right beside Vanellope as she races for her life. The originality of the theme can't be overstated; we've seen morals before, like be true to yourself or allow love to lead your way or things of that nature, but I'm not sure we've ever seen friendship shine in exactly this manner before. Get ready to take a look at your own life and judge your own relationships, because it's not just Ralph who will have to face his insecurities, it's audiences as well, and that's not an easy task. But the movie makes us, we're better for it, and that's part of the magic; this story is more than just pictures on a board, it's one of the most uniquely beautiful depictions of friendship we're ever likely to see from animation. And then there's the Internet, which is imagined perfectly, down to ever last detail, reference, and brainstorm; eBay, Pinterest, YouTube, pop-up ads, avatars, Mad Max villains, Burger Time references. This is how I'm going to imagine the Internet from now on, and the humor imbedded into the creation strikes just perfectly. And then there are the amazing characters: Ralph who looks a little like Colin Farrell this time around, Vanellope with that signature Sarah Silverman voice, Alan Tudyk who may go down in history as the best voice-over actor of all time, Gal Gadot, Bill Hader, and all the Disney princesses. Plus, the way they scripted Felix & Calhoun out of the main action was brilliant, because we didn't need extra storylines about life back in the arcade, we had enough on our plates with the action in the Net. I'm not sure what else I can say; Ralph Breaks the Internet is special, it's very special, and I wouldn't change a thing.